Do you care about your home? If yes, then the same goes for your carpet. It’s a huge investment. You can increase the longevity of your carpet through professional cleaning. Besides, you don’t need to be embarrassed by your dirty carpet when you have friends over. Call Mr Clean Carpet Cleaning and we will make your carpet look and feel good. Our experienced cleaners will clean your carpets according to carpet manufacturer’s specifications. Mr Clean Carpet Cleaning provides residential steam carpet cleaning in Mint Hill, NC to maintain the quality and durability of your carpets. Most carpet manufacturers often recommend steam cleaning. We are trained and experts in residential carpet cleaning service. Rest assured that, you’ll receive outstanding results when you count on our residential steam carpet cleaning in Mint Hill, NC. Mr Clean Carpet Cleaning specializes in offering custom-tailored cleaning solutions for your business. With our well-trained and experienced technicians, you can really trust you’re working with the best. Our commercial carpet cleaning in Mint Hill, NC use their extensive expertise along with the best equipment available in the industry to make sure that you get the best possible results at an affordable price. Commercial steam carpet cleaning is something Mr Clean Carpet Cleaning is genuinely passionate about. 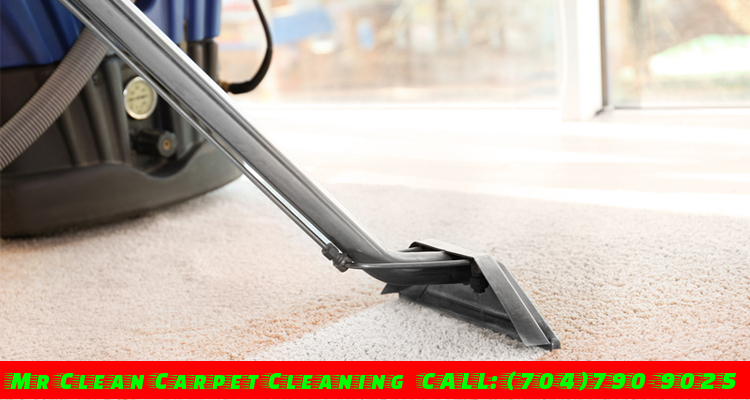 We know the right way to perform commercial steam carpet cleaning in Mint Hill, NC. Our professionals have the state-of-the-art steam cleaning equipment to clean carpets at your commercial space. Through steam carpet cleaning, we provide optimal results to deep clean your carpets. There’s no better cleaning equipment on the market than our tools to remove the stains in your carpet like dirt, dust, allergens, urine, oils, food, beverages, and many other contaminants in your commercial carpets. Contact Mr Clean Carpet Cleaning now and let us provide you with a professional residential or commercial steam carpet cleaning in Mint Hill, NC!